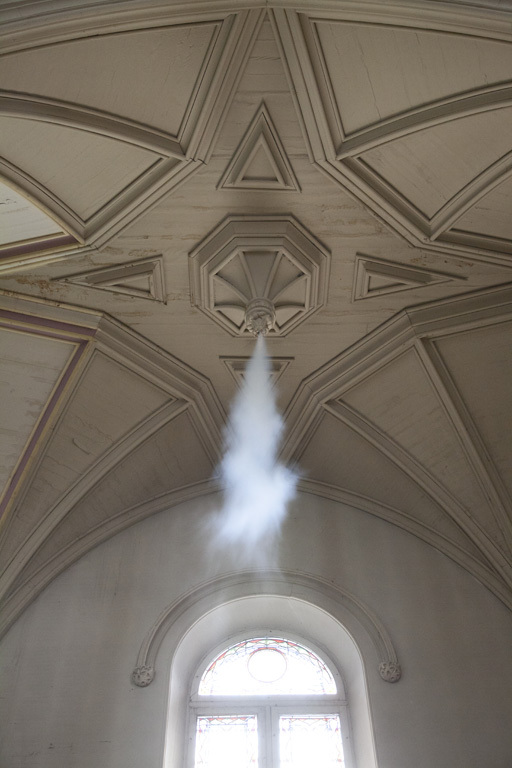 For Preternatural, a curated series of exhibitions investigating the spiritual in a secular age, I portrayed ecclesiastical music in smoke. 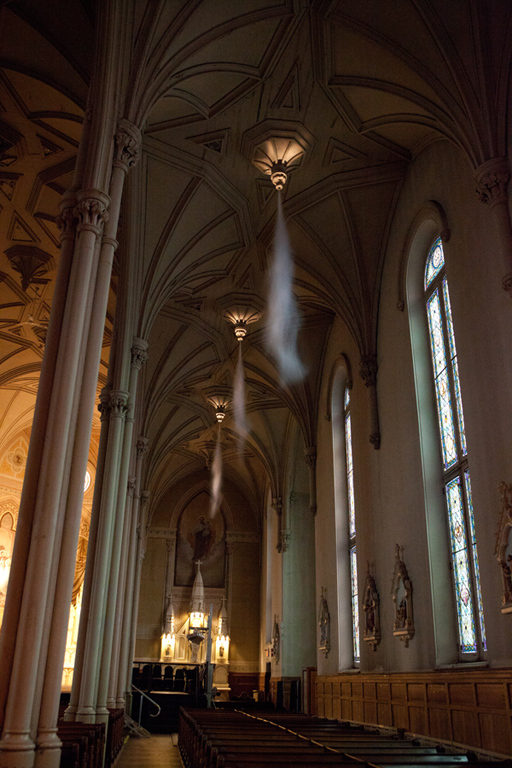 Appearing to emanate from the very shape and structure of St. Brigid’s vaulted ceiling, puffs of white smoke plumed, jetted and dissipated in time to a greatly slowed version of Handel’s Messiah. Appropriate to the site and the season, the presentation of music as a mute echo of what had taken place in the church many years before suggested that the architecture itself has memory. The vaulted ceiling of the 1895 church tapers downward to points where chandeliers were once suspended. It is from three of these points along the western aisle from which the smoke emitted. The clouds puffed into the space without musical accompaniment to appear at once mysterious, intentional and abstract.